Matching a Jumping Pourer to a new container is a small project we take seriously. We want to make sure your customer experiences the perfect pouring performance only the Jumping Pourers can provide: Controllable smooth and clean flow. Since there is no standardization of the bottle neck´s inner shape and size, our expert has to make sure there is a perfect match between your container and the Jumping Pourer. Fill in the New Customers Questionnaire with specifications of your needs. This allows us to ensure the most suitable pourer is matched to your liquid type, container, cap and filling line procedure. Send our labs samples of the container you would like to use and its current cap. Reviewing your container and cap is crucial for the matching success. Our engineers will provide you with samples for your confirmation, an offer for modifications of an existing pourer or creating a new pourer. Select the pourer type and color, as well as color of the cap. If necessary, attach graphic designs or logo sketches for the cap. We then produce 1,000 samples of complete sets (Jumping Pourer + cap) and send them over for tests in the production line and final product approval. 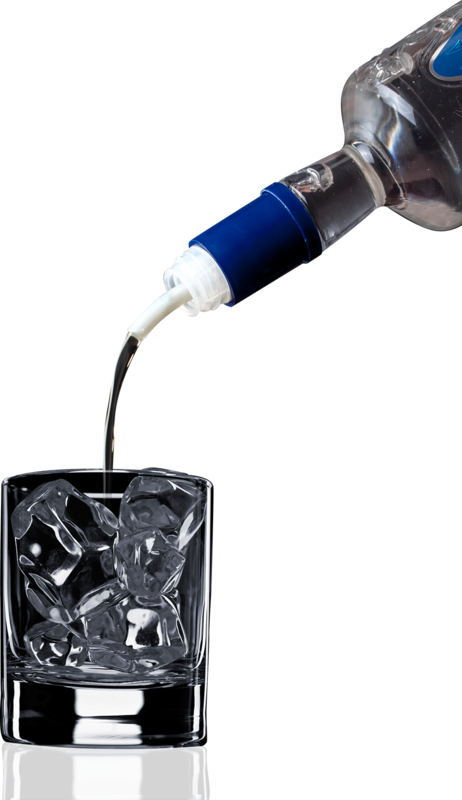 This is important to ensure the pourer fits the container, the cap and just as importantly – the filling line. Once the pourer set is approved, we will ask you to send us 4 signed samples to be kept at our quality department. What are the Jumping Pourer’s available measurements? Our bottleneck pourers range from 17.4mm to 54mm. We also have 3 different pourer sizes for cans: 19mm, 24mm and 32mm. We can create pourers for every size and need, per our customers’ requirements. What are the available pourer and cap colors? We have a wide pallet of colors to choose from. If the requested pourer color is new, we test it to make sure it is safe around food. You can also select the cap color and send us your own design, to print on it. Is it possible to control the liquid flow? Absolutely! Controlling the flow is what we are all about! From which materials the Jumping Pourer is made of? Is it approved for use in the food industry? The pourers are made from the PP and PE families, both approved for use in the food industry. Food approval certificates will be provided if needed. Do you have an agent/representative in my country? For a large-scale order, please contact us directly. Smaller orders are handled by our representatives all over the world – we will be happy to refer you to the one nearest to you. Why do we need to send you our container and cap samples? We need your container sample in order to make absolutely sure the pourer is a perfect match for your bottleneck. The pourer needs to fit the bottleneck’s inner cut, and we need to check how it is sealed and make necessary adjustments. Is the Jumping pourer suitable for hot fill production line? Yes! We have pourers that are suitable for hot fill lines. We need to know in advance in order to make sure the pourer is made from the appropriate material. How does the pourer find its way into the container in an automatic production line? 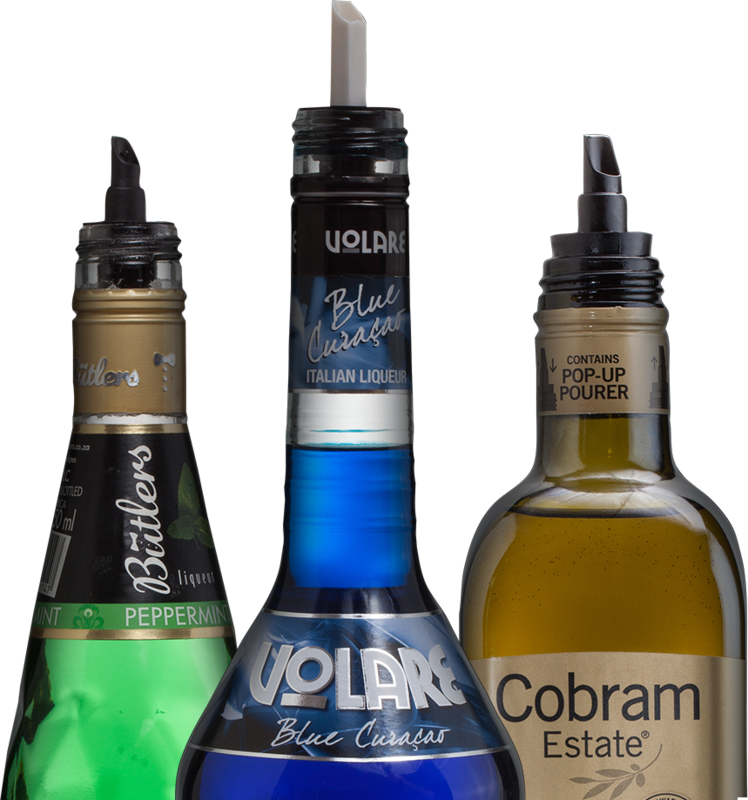 The pourer is placed into the cap as an insert and supplied to our customers as a complete set. The capping machine is not disturbed by this change; therefore no change is required in the filling line. Fill in the form and we will contact you in no time!